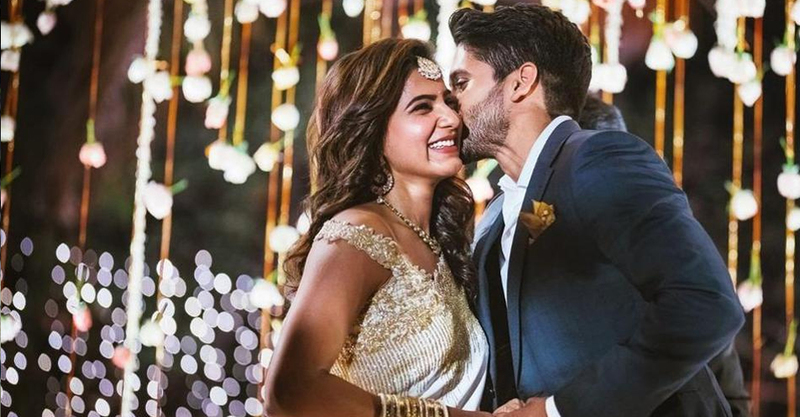 Tollywood couples and celebrated actors Naga Chaitanya and Samantha Akkineni have a huge fan following, which has also given them the nick name, ChaySam. One fan noticed a new vector symbol tattoo on Naga Chaitanya’s wrist and decoded it for other fans. The tattoo, written in Morse code, is Naga and Samantha’s wedding date. Naga Chaitanya and Samantha are busy with shoot for their upcoming films. Samantha is currently shooting for the remake of Kannada film U Turn in Hyderabad and reports suggest she will be playing a journalist in the film. Pictures of the actor shooting in the office of a newspaper had recently gone viral. She will also be seen in Super Deluxe with Vijay Sethupathi and Seema Raja with Sivakarthikeyan. Naga Chaitanya, on the other hand, is working on his upcoming film Savyasachi. The couple will also be working together in a film directed by Shiva Nirvana of the Ninnu Kori fame. The film will be produced by Shine Screens.